Have you had your car's brake system inspected lately? If you have noisy brakes, noticeably decreased stopping power or your car pulls to the left or right under braking, then your vehicle is certainly overdue for a brake inspection and service. Honda Morristown invites drivers near Knoxville and Sevierville, Tennessee to our service center in Morristown, TN for professional brake service, inspections and new replacement brake parts installation. When you bring your Honda or other make of car into the Honda Morristown service center, know that our highly skilled technicians will perform all that needs to be done to your car's brake system to keep you safe out on the road -- and nothing that is not necessary. We utilize genuine Honda parts on all of our Honda brake service, which includes installing replacement brake pads, rotors, brake calipers, or brake drums and shoes. If your Honda Civic is taking longer than usual to come to a stop, or the brake pedal in your CR-V feels low, visit our brake specialists! Our technicians have decades of collective experience working on all brake systems, including anti-lock brakes, disc brakes, and drum brakes, so feel free to bring your newer or older Honda model or any other make of car to our service center for a brake inspection or tune-up. 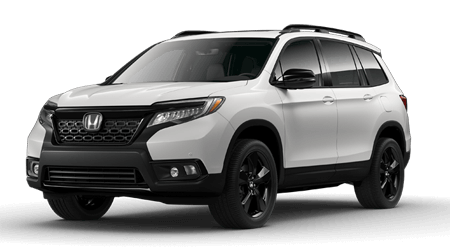 If you are searching for a Honda dealership near Knoxville and Sevierville, TN, remember to contact Honda Morristown for all of your auto and brake service needs. You can schedule auto service online in just moments. Visit the Honda Morristown service center soon; we are conveniently located in Morristown, TN.